Singapore — GeoSLAM, experts in “go anywhere” 3D mobile mapping technology, and Bentley Systems, a global provider of comprehensive software solutions for advancing infrastructure, announced a partnership to enable the simple and fast production of hybrid reality models in any environment. Bentley Systems’ reality modelling software, ContextCapture, available on desktop and mobile devices, produces engineering grade textured 3D models for design, construction, and operations derived purely from photographs. A quick and inexpensive way to provide real world context, the software is commonly used for modeling outdoor environments either from images taken from the ground or with the use of drones. 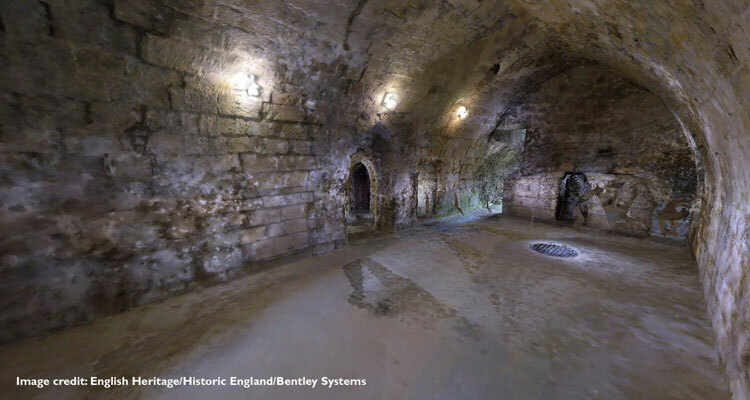 Through a combination of using the GeoSLAM ZEB-REVO mobile mapping system and ZEB-CAM, and the latest version of Bentley’s ContextCapture software, it is now possible to produce high-resolution textured reality meshes of indoor scenes, complex infrastructure and other challenging environments faster than ever before. Through this new partnership, GeoSLAM and Bentley are jointly committed to further optimize this combined workflow and to push the boundaries of what is possible in rapid mobile reality capture. Mark Reid of GeoSLAM will be presenting the ZEB-REVO/ContextCapture solution at the Bentley Year in Infrastructure conference taking place October 9-12, 2017 at the Sands Expo and Convention Centre, Marina Bay, Singapore. To learn more about GeoSLAM’s rapid mobile technology, visit www.geoslam.com.